A sinister Problem has occurred in London: all nature of ghosts, haunts, spirits, and specters are appearing throughout the city, and they aren''t exactly friendly. Only young people have the psychic abilities required to see—and eradicate—these supernatural foes. Many different Psychic Detection Agencies have cropped up to handle the dangerous work, and they are in fierce competition for business. In The Screaming Staircase, the plucky and talented Lucy Carlyle teams up with Anthony Lockwood, the charismatic leader of Lockwood & Co, a small agency that runs independent of any adult supervision. After an assignment leads to both a grisly discovery and a disastrous end, Lucy, Anthony, and their sarcastic colleague, George, are forced to take part in the perilous investigation of Combe Carey Hall, one of the most haunted houses in England. Will Lockwood & Co. survive the Hall''s legendary Screaming Staircase and Red Room to see another day? 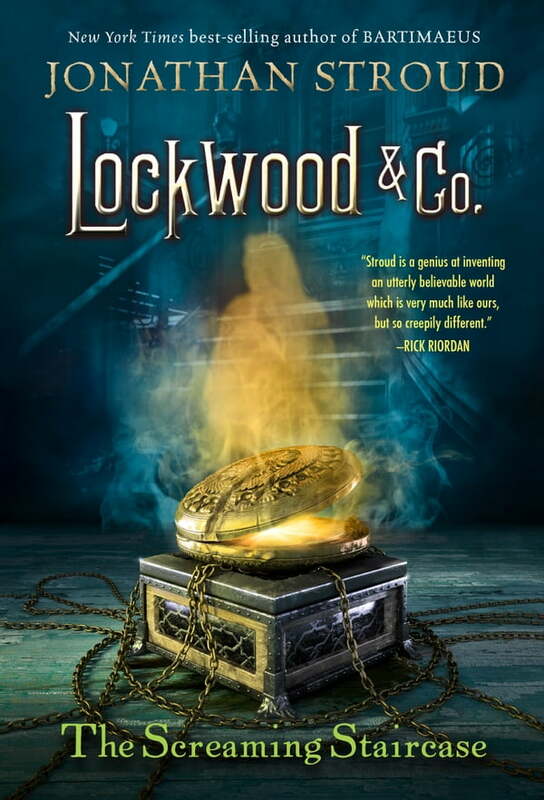 Readers who enjoyed the action, suspense, and humor in Jonathan Stroud''s internationally best-selling Bartimaeus books will be delighted to find the same ingredients, combined with deliciously creepy scares, in his thrilling and chilling Lockwood & Co. series.